John Raphael Quinn is the Archbishop Emeritus of the Archdiocese of San Francisco; he served as the archdiocese's sixth archbishop from 1977 to 1995. He also served as Archbishop of Oklahoma City and as the president of the United States Catholic Conference and National Conference of Catholic Bishops. 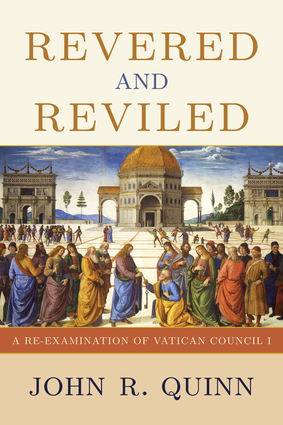 He is the author of Reform of the Papacy: The Costly Call to Christian Unity (Crossroad Publishing) and Ever Ancient, Ever New: Structures of Communion in the Church.